All over the streets of New York, the teddy coat has been seen sported by various faces. From influencers to models to fitness instructors to now everyone, it is clear that the new outerwear has taken over today’s street style. The teddy coat trend revolves around the look of a cozy, faux fur jacket that seems to resemble a teddy bear, hence the appropriate name. The trend that began in 2016, has now remained with its classic style while concurrently evolving into different colors, shapes, and silhouettes. This look truly picked up last fall with celebrities such as Kim Kardashian, Hailey Baldwin, Elsa Hosk, and even Drake sharing their own version of the coat. After fall of 2018, it was clear to the fashion world that the appeal of the teddy coat has skyrocketed. The trend initially started in 2016 when Who What Wear first reported on it, but is now going strong into 2019. The coat goes by other names such as faux fur, sherpas, and any fuzzy descriptive phrases. The teddy coat appeal extends beyond just celebrities, though. Some of the most Internet savvy fashionistas have made the coat their favorite. The teddy coat was even named the “Influencer Favorite” by Who What Wear and featured images of Carine Roitfield and Eva Chen wearing their teddy coats during Fashion Week. New York City fashion blogger Jourdan Sloane has also been spotted wearing the classic edition of the teddy coat from Tiger Mist. To hop on this trend, it seems that each influencer or celebrity styles their coat in their own way. This is due to the teddy coat’s abounding versatility. The teddy coat trend comes in all colors, styles, and structures -- allowing for any person to incorporate their personal touch into the trend. For classic fashionistas, the teddy coat trend can be worn in a long-line style resembling a trench coat like Kim Kardashian chose. 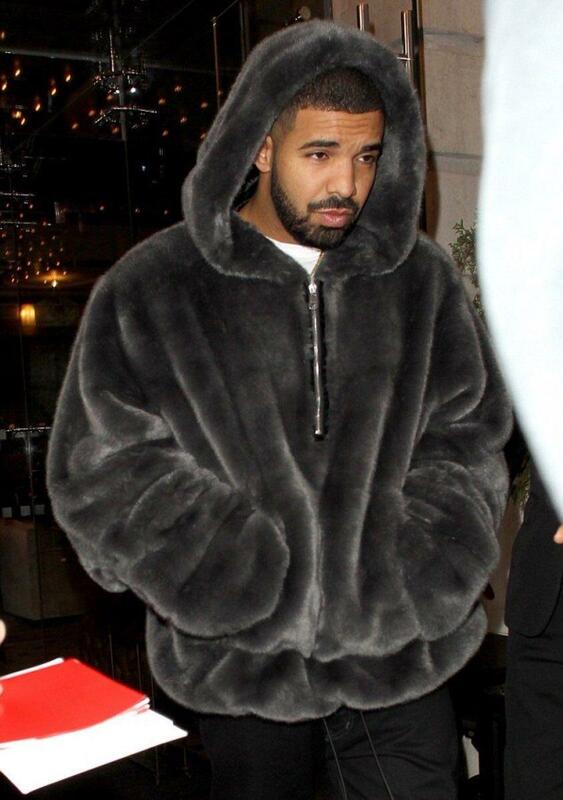 Those who are into a more glamorous look can opt for the sleek fur look of the coat, similar to Drake’s, and for those into the classic trend, the cropped or oversized teddy coat is the best option. But even with all of these options will this trend last? My colleague and I discussed the elements of this trend and we think it will stay for the following reasons. One, it is a cozy spin on outerwear and with blistering cold temperatures approaching, street style stars are reaching for a fashionable, yet durable coat. Two, this trend has been on the uproar since 2016 and seems to be continuously promoted. Now, even promoted by celebrity fitness instructor, Megan Roup, it shows that the teddy coat trend is expanding into all sorts of lifestyles. Finally, the teddy coat proves to be a trend that everyone can partake in, marking its everlasting touch. In upcoming years, it may become a “classic staple” in fashion similar to the leather jacket. For now, the teddy coat is sticking around.